Steve Putterman FSA, MAAA is a Professor of Practice and Faculty in Charge of the Actuarial Science program. Steve enjoyed a 30+ year career in senior roles leading life and annuity pricing and product development for both large and small insurance companies including Aetna, Prudential, and Sun Life. A 1978 Penn State grad, he taught the Financial Mathematics course at Penn State in the fall of 2015 and recently served on the Life and Annuity Pricing Task Force of the Life Committee of the Actuarial Standards Board and consulted on actuarial projects involving economic loss and expert witness testimony. ​Hi! I’m Grace McStravock, and I am a junior majoring in Risk Management, Actuarial Science Option, with minors in Mathematics and Statistics. I’m also the Business Logistics Overall of the Sapphire Leadership Academic Program. I am passionate about affordable, accessible healthcare and education, which has led me to intern twice with health insurer Aetna, and this summer, with Cigna! While my interests lie in health and education, I am excited to help our club members find their passions in the actuarial realm and shape the future landscape of insurance, healthcare, technology, and beyond. In my free time, I love to run with Club Cross Country, ride my bike with Penn State Cycling, and fundraise For The Kids. ​Contact me with questions about the club, actuarial science at Penn State, or the profession! Hi, my name is Brent Nachison. I am a sophomore from Northern Virginia majoring in Risk Management: Actuarial Science Option with a minor in Statistics. I have passed the P and FM exams and am currently preparing for IFM. In 2018, I interned at the National Geospatial Intelligence Agency in Springfield, VA. This summer I will be interning with Deloitte Consulting in New York! On campus, I am an intern for the Penn State Athletic Strategic Communications Office and I am on THON Finance Committee. I am a huge sports fan and like to go to games as well as play sports myself and stay active. Please feel free to reach out to me with any questions you may have! Contact me with questions about anything club/actuarial-related. Hi everyone! My name is Rachel Weber and I am a junior majoring in Risk Management, Actuarial Science Option, with a minor in Management Information Systems. Over the past year I have passed exams P and FM, and I am currently preparing to sit for IFM in March. This summer, I will be returning for my second internship with Prudential Financial in Newark, NJ. On campus, I work for The Daily Collegian as the Vice President for the Business Division. I am also a member of a sorority, Delta Gamma. I have held positions including Vice President of Finance as well as Director of Alumni Relations. In addition, I have been a learning assistant for Calculus 1 and 2 for the past two years. In my free time I love to travel and experience new places, especially road trips! Contact me with questions about club finances and merchandise. ​I'm Noah Donten, a sophomore majoring in Risk Management with a minor in Statistics. I have passed Exam P and will sit for Exam FM in the spring. On campus, I am a member of the Sapphire Leadership Academic Program and the Smeal Allocation Board. This summer I will be interning at Prudential. In my free time, I enjoy hiking, fishing, and playing basketball. Contact me with questions about resume books and databases. Howdy! 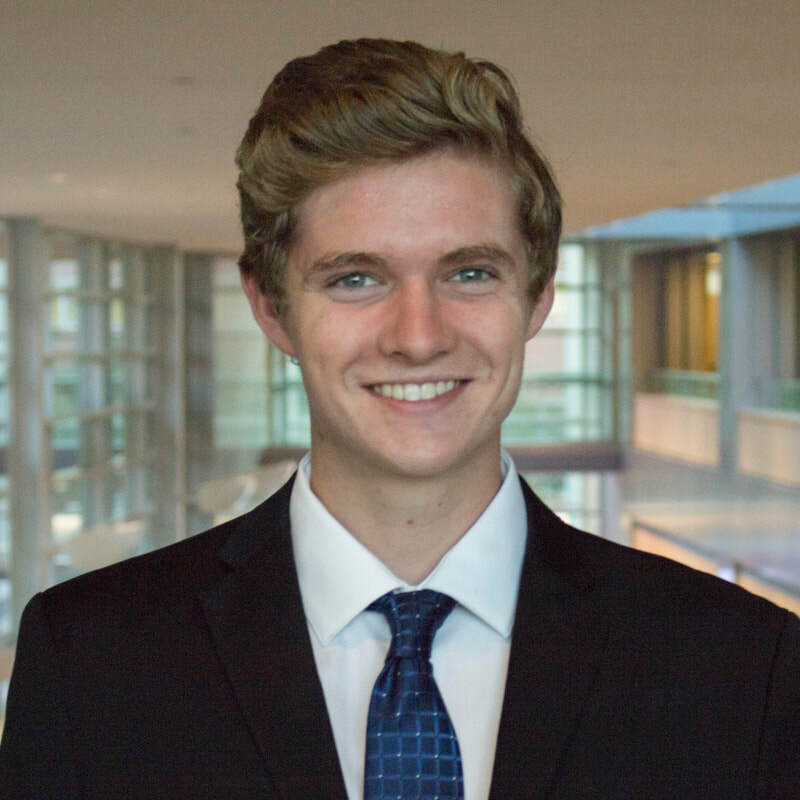 My name is Aidan Lake and I am a sophomore majoring in Actuarial Science through Smeal with minors in economics and statistics. In 2017, I interned with Milliman Global in their casualty department in Chesterbrook, PA. Last summer, I studied abroad in Australia, where I went to Sydney, Canberra, The Gold Coast, Cairns, Yulara, and many more cities! Some of the things I did include feeding kangaroos, holding a koala, surfing in dangerous waters, and going scuba diving at the Great Barrier Reef! For my final paper while abroad, I compared Australia's health care system with that of the United States. This summer, I will be interning with Transamerica in Exton, PA. On campus, I am primarily involved in the Presidential Leadership Academy and the professional business fraternity Delta Sigma Pi, where I serve as the Vice President for Finance Chair. In my free time, I run on the Penn State Club Cross Country team and play the guitar. If you ever need someone to run with, to have a jam session with, or to ask what a kangaroo burger tastes like, feel free to reach out! Contact me with questions about the club website. Hello! My name is Akash Patel and I'm a sophomore studying Actuarial Science through Smeal. I am also pursuing minors in Economics and Statistics. I have passed Exam P and FM. Last summer, I interned with Transamerica in Exton, PA, and this summer I will be interning with Cigna in Connecticut. Besides Actuarial Science Club where I was the Assistant Director of Technology last year, I am also involved with Smeal Student Council. Outside of class, I enjoy playing Ultimate Frisbee and other sports with friends, as well as traveling to new places. ​Contact me with questions about the career fair. ​Contact me with questions about field trips. Hello! My name is Michael Roby and I’m a junior majoring in Actuarial Math and Political Science. I’ve passed exams P, FM, and IFM, and I’m currently studying for STAM in June. I’m originally from Philadelphia and I’ll be interning there with Cigna this summer. Outside of school I’m an RA in Pollock and volunteer at Centre County PAWS. I also enjoy listening to music, playing guitar, and reading a good book in my free time. ​Contact me with questions about information sessions. Hi! My name is Ivy Tong. I am double majoring in Applied Statistics and Economics with a minor in Mathematics. Currently, I am sitting for July IFM exam. This coming summer, I'll be interning at Munich Reinsurance in their Princeton, NJ office. On campus, I am also a math coordinator and math tutor at Penn State Learning. In my free time, I enjoy sitcoms, traveling, and GOOD food. If you have any food recommendations, please feel free to contact me. I am also available to help if you have any questions! I am looking forward to getting to know you all! Contact me with questions about club events. ​I’m Elysia Liu, a junior majoring in Actuarial Mathematics with minors in Statistics and Economics. I have passed the P and FM exams and am sitting for IFM in July. This past summer, I had an actuarial internship with Ping An Insurance in Shenzhen, China. In the summer of 2019, I will be interning with New York Life in their NYC office. Moreover, I work as a math tutor as well as a Guided Study Group Leader at Penn State Learning. I am also in the programming committee of the International Student Council where we plan events that engage all International communities on campus. Recently in my free time I have really enjoyed watching the Office, but I am also fascinated by theater and going on adventures where I can take pictures along the way. I look forward to helping Penn State’s actuarial students in anyway possible, so please feel free to contact me​. ​Contact me with questions about club communications/weekly updates. Hi my name is Allison Seibert, I am a junior majoring in Risk Management, Actuarial Science Option, with minors in Statistics and International Business. I have passed P and FM exams and am sitting for IFM in July. Last summer I studied abroad in Florence, Italy and traveled to many other cities. This upcoming summer I will be interning at Mercer in their Philadelphia office. Outside of academics, I have been on a THON OPPerations committee for 3 years. I work at the White Building gym and proctor business core exams in Pollock testing center. I also love cooking, traveling, and staying active! Contact me with questions about social events. Hello! My name is Marceli and I’m an international student from Poland. I’m majoring in Risk Management, Actuarial Science option and Economics, with a minor in Statistics. I have passed the P exam in January and I’m sitting for FM this Spring. Outside of Actuarial Science Club, I’m a new member in Professional Business Fraternity, Alpha Kappa Psi. I’m also participating in the Consultant Training Program coordinated by Nittany Consulting Group. In my free time I like watching critically acclaimed movies as well as tv show Friends. I’m also interested in fashion and enjoy good architecture and design. Finally, I was a commonwealth campus student. Having experienced how challenging the transition process is, I’ll be happy to answer any questions you may have concerning moving to University Park or planning your actuarial classes at the commonwealth campus. Contact me with questions about weekly events or club emails. Hi, my name is Frankie Haver, and I am a junior majoring in Risk Management: Actuarial Science Option and Spanish. 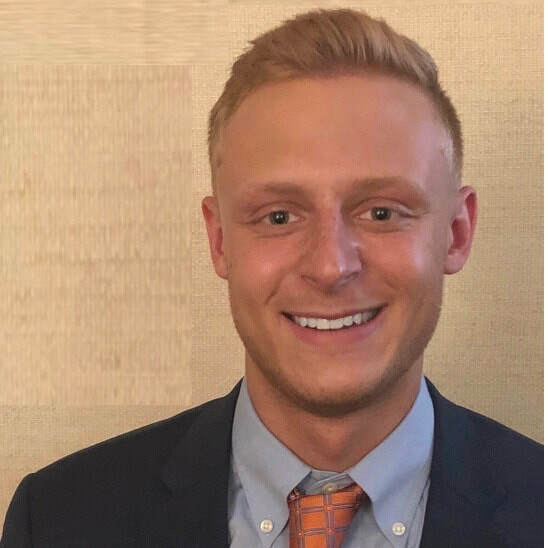 I have interned two summers with Highmark, and I will continue my interest in health insurance this summer as an intern for Cigna in Connecticut! I have passed the P, FM, and IFM exams. I am a member of the Schreyer Honors College as well as the Sapphire Leadership Academic Program. On campus, I am also involved with Sapphire Benefitting THON as an Overall and Students Consulting for Nonprofits (SCNO) as a Project Manager. I also enjoy playing intramural soccer, flag football, and basketball. I’m Nicolette Nybro, a sophomore majoring in Risk Management Actuarial Science through Smeal with a minor in Statistics. I have passed Exam P and am planning to take FM in June. This upcoming summer, I will be interning at Munich Reinsurance in New York City and participating in the Actuarial Success Awareness Program with Prudential in Newark, NJ. On campus, I am also a member of the Professional Co-ed Business Fraternity, Alpha Kappa Psi, where I serve as the liaison between the the new inductees and the current members. Furthermore, I am on a Dancer Relations THON committee, I am a Schreyer Honors Orientation Mentor, I have participated in Nittany Consulting Group’s Consultant Training Program, and I am a Wall Street Boot Camp Graduate. As for my interests, I love going to the beach, spending time with my friends and family, and traveling to exotic new places. Contact me with questions about getting involved as an underclassmen. Hello! I’m Vince Birch, and I’m a freshman majoring in Statistics with an Actuarial option while also pursuing minors in History and Economics. I have passed Exam P and am sitting for FM in June. This summer I will be interning at Long Term Care Group in Trevose, Pennsylvania and participating in the Actuarial Science Awareness Program with Prudential in Newark, New Jersey. On campus, I play on Penn State’s quizbowl team and participate in various IM sports. In my free time, I enjoy playing soccer, racquetball, and ping-pong, as well as competing in various trivia competitions and long distance cycling. Contact me with questions about underclassmen events and involvement. Hello! My name is Maria Howe, and I am a freshman majoring in Risk Management: Actuarial Science Option with a minor in Statistics. I plan to take Exam P in May. This summer I will be interning at Transamerica in Cedar Rapids, Iowa. Outside of the Actuarial Science Club, I am the Vice President of the South Halls Residence Association and serve as a tax preparer for the Volunteer Income Tax Assistance program. In my leisure time, I love cooking, reading, and traveling to new places. Contact me with questions about ways to get involved as an underclassman.